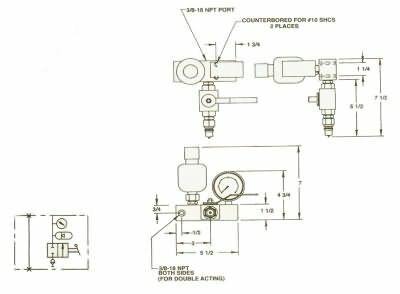 The Pallet Decoupler Valve allows hydraulically clamped tooling fixtures to maintain pressure when disconnected from their power source. The built-in pre-charged accumulator maintains pressure within a hydraulic system, compensating for slow leaks. The Pallet Decoupler Valve adds a level of security to fixtures that must be disconnected from a power source while being moved. Ideal for use with palletized fixtures and machining centers.